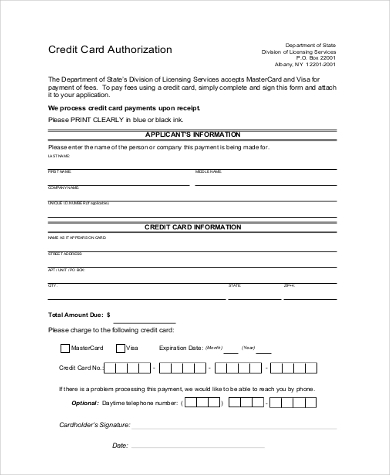 Authorization Forms for credit card payment may crop up when you try to make an important purchase with your credit card. 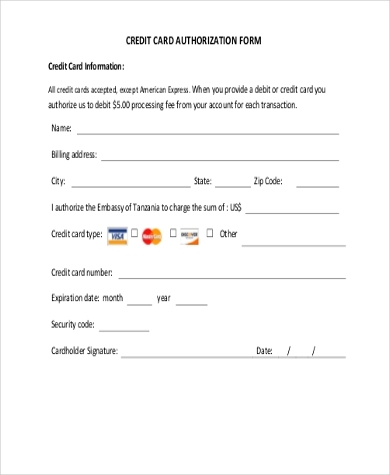 The “merchant” or seller entity will need a way to verify whether your bank account under this credit card has sufficient funds to make the full purchase. It is also needed to verify approval, since the merchant will be charging your account electronically. 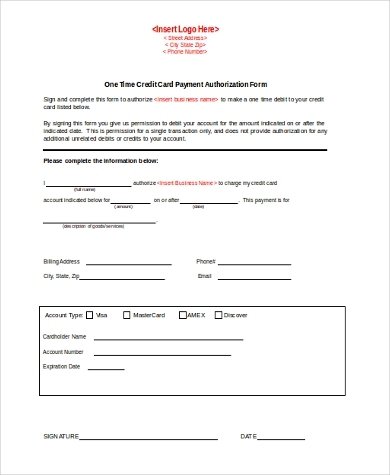 The acquiring bank will have to be notified through this form, and they will either approve or decline the transaction based on the card holder’s current line of credit. Naturally, this is an important process to guard against any fraudulent credit charges. 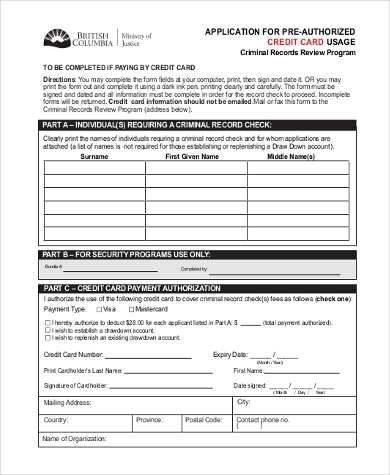 Many businesses would need some form of this authorization form to protect their customers. 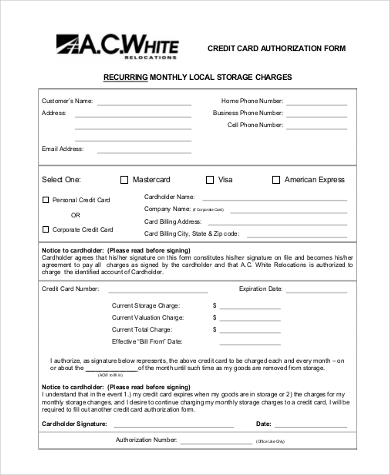 Why Do We Need Credit Authorization? Everything to do with your credit card has to be properly and carefully monitored, with authorization given at certain junctures to ensure the original card holder does not suffer from a bad credit record thanks to fraudulent charges. From Credit Application Forms to credit card authorization, businesses that deal with their clients’ cards will need all sorts of paperwork to make sure the proper documentation and procedures are being followed. Yes, it can seem like a hassle, but it is really in your best interests. Approval and authorization can protect you from a spotty credit line arising from fraudulent transactions. 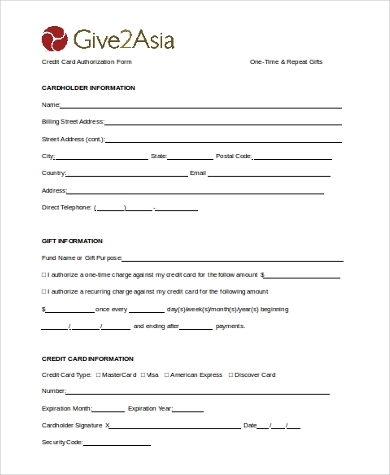 Using the information on the form, the merchant’s acquiring bank will determine the card holder’s bank (i.e. your bank) and will request authorization. The card holder’s bank will then check the credit record on file, and then approve or decline the transaction with the merchant. 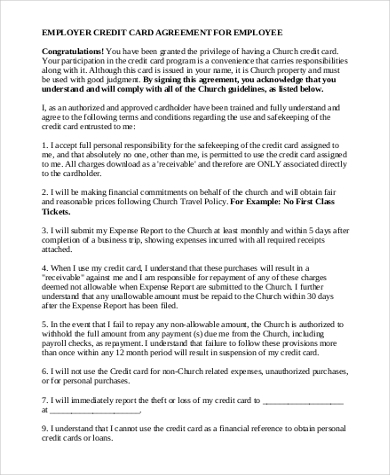 If there are sufficient funds or credit, the transaction is approved. The merchant’s acquiring bank is notified, and the merchant is given the go-ahead to complete the transaction. Once the transaction is complete, the full purchasing price is deducted from the card holder’s account. The card holder is then given a receipt of the transaction. 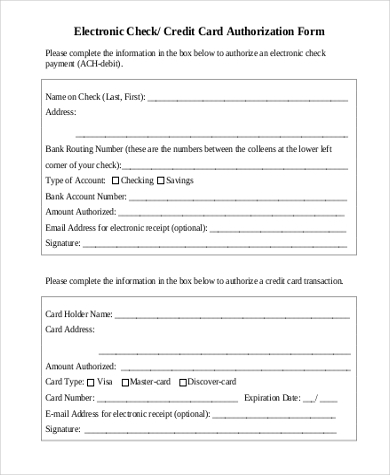 Electronically, this can take a matter of seconds, aside from the filling of the form. 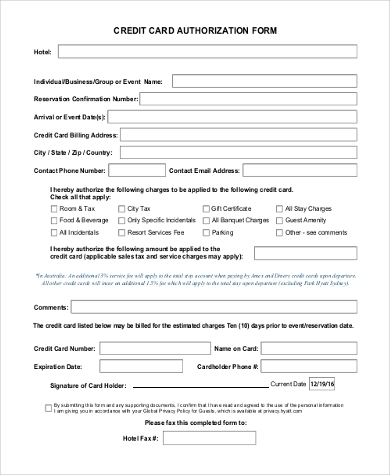 If you are looking to draft such a form or familiarize yourself with one, these Sample Credit Card Authorization Forms should provide a blueprint. 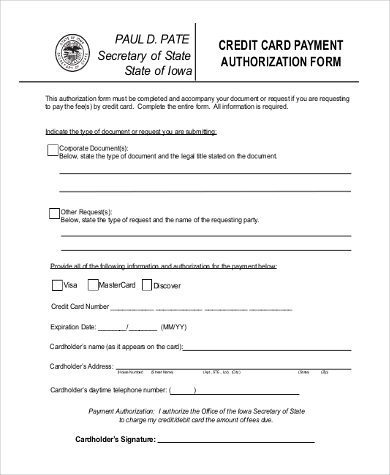 If it is necessary for a business to charge their employees’ credit cards with their permission, for example to pay for damages, the Employee Credit Card Authorization Form will come in handy.